Build skills and strategies to expand your influence, working with an expert coach and peer cohort to advance your own goals for catalyzing change. Calling all Change Agents! Researchers, creators, and innovators excel at identifying opportunities to improve products, processes, and organizations. But discovering a need isn’t enough—too often, significant data and elegant deliverables just don't move the needle. How do I get people to listen to me? How do I change their thinking? What can I do to compel my team or organization to take action? In this course you’ll develop and practice the skills to maximize your influence and drive change. Whether you are bringing a human-centered approach to your team, advocating for change on behalf of your customers, or articulating the value of ethnography to different audiences, this course is an extraordinary space to advance your own goals with an expert coach and a small cohort of EPIC peers. We will explore and expand our own skills and attributes, use an ethnographic lens to evaluate challenges and opportunities of our organizational and professional landscapes, and model strategic communications to maximize our effectiveness. We’ll also evaluate what contributes to “influence” and model pathways to success in the context of our situations and goals. Your thinking will expand beyond doing great research as we apply our research training to strategically position our work, gain advocates, and drive meaningful change. This online course was specially designed for EPIC to provide active, live engagement with a small group of participants and an expert instructor. It isn’t cobbled together from cookie-cutter modules or passive webinars—it offers meaningful, relevant learning and connects you to an important network of people and resources. The online course uses platforms and co-working tools that facilitate group interaction and collaboration, accessible from your browser. Each live session will include an online presentation and group discussion. In addition to these course sessions, participants will have assignments between sessions for which they will be expected to do some light readings; reflect deeply on their personal and professional goals, patterns, beliefs, and contexts; and put insights into action. There is also an option to participate in peer coaching to explore challenges and successes as well as reflect with other EPIC members who have diverse experiences and expertise. This course is designed for practitioners who want to amplify their ability to drive change. It does not directly address research methods or the creation of specific research deliverables; the focus is on building skills to understand and influence the contexts in which your research happens and the organizations and processes your research can change. Your work context should be consistent for the length of this course because the coursework involves a deep exploration of the environment within which you want to have an impact. That doesn’t mean you need to be a full-time employee within an organization; you might be a freelancer or consultant with various clients, or you may want to catalyze change in a context you’ve been involved with in another way. The strategies we will cover will travel with you for life, allowing you to maximize your impact as a change agent in new contexts in the future. "5 stars! This class was the highlight of my month. I have a new perspective on 'what it means to bring change' especially as a young professional. I am already applying learnings from course at work. I really enjoyed interacting with my fellow course participants. (Thank you Tracey for designing an introvert friendly interaction model!)" "Tracey's highly interactive course offers thoughtful frameworks for understanding how to communicate, influence, AND stay sane as a change agent. You'll learn the process of affecting change in an organization from the ground up, not only from Tracey, but from other amazing change agents too." 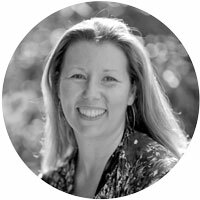 Tracey Lovejoy is the co-founder of EPIC, an anthropologist, and a longtime amplifier of Catalysts. For many years she drove innovation at Microsoft by connecting designers and engineers to the needs of their customers and managing teams to catalyze change. Today Tracey is a coach for change makers. She’s supported Catalysts and their teams in wide variety of large organizations, such as Amazon, Facebook, Steelcase, Microsoft, Intel, Vodafone, and Redfin. She also works with individual movers and shakers, entrepreneurs, and small business owners across many industries including healthcare, education, technology, professional services, retail, and food service. Check out her recent articles on the challenges of catalysts, some common mistakes of catalytic leaders, and how to sustain your catalytic energy. *Pacific Standard Time is UTC -8 until March 10, when it converts to Pacific Daylight Time, UTC -7. In this session we’ll explore the attributes and skills necessary to be a change agent, the unique challenges we face, and how we can prepare ourselves to overcome those challenges. You will baseline your effectiveness as a change agent and identify how you’d like to grow. In this session we’ll explore what contributes to “influence”, what it takes to be influential and successful within an organization, and how you can maximize your influence in the context of your organization or situation. In this session we will deep dive into participants’ organizational and situational contexts, exploring and refining the pathways to impact and influence that you have uncovered. In our final sessions we will discuss communication traps that change agents often fall into, increase our awareness of a variety of communication styles, and identify opportunities to improve your communications to maximize your effectiveness. All EPIC Learning events are open to EPIC Members, and membership is open to everyone. Become an EPIC Member to register. Yes, teams can enroll in courses together if there is space. There is no group discount. If you’re interested in a customized course or training for your team, contact us.